40th anniversary reunion took take place June 19th, 2004. Much of the ex-cast was there. "Indian River Jr. Forest Rangers - Main Depot"
"Rescue Work Undertaken-Fire Fighting-Fishing Parties-Guides Provided"
Theme and Incidental music written by John Bath. John passed away in Sept. 2004 at age 89. 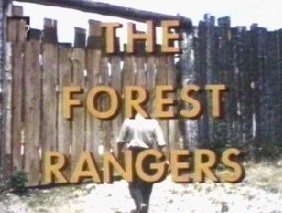 Some of the incidental music used on "The Forest Rangers"
John Bath first penned for the tv show "Hudson's Bay" and the 1958 movie "Wolf Dog". Director of Photography Bill Steiner, A.S.C. and is a new kid in Indian River. The junior rangers make him feel at home by throwing him a surprise birthday party. this upsets Macleod immensely since he has been searching for it all his life. Director of Photography: John Gunn, C.S.C. it is up to the kids to save him. The junior rangers set out to trap two beaver hunters. horse and put it out of it's misery. to appear as Pike Tower in this episode. apparently along the old DMZ line. A professor leaves property to Zeke for a bird sanctuary. Director of Photography John Gunn, C.S.C. blackmailed in a phoney auto accident scam. The Forest Rangers foil a bank robbery at Indian River. to thier float plane so they can't escape with the loot. A snake bites a young boy and Joe stays to help him survive. (Note: Mira Pawluk appears in the 1973 Canadian horror classic as one of the "Cannibal Girls"
A dog catcher comes for all the dogs in Indian River. and Susanna can take off to the city to continue her studies. A young boy is caught in the plans of a wrong doer and lives. A man saves ranger George Keeley who had to evacuate his plane. Pete Keeley (Rex Hagon) takes a movie that proves a point. Note: This was the first time Kathy (Susan Conway) was introduced on the show. She wouldn't appear again until season 2 when she replaced Gaby (Syme Jago). endangering Joe in the process. convertible they dont know how to run. Doug Master ............ Mr. Quaite. the forest but they get caught after a tracking device is employed to find the balloon. A man puts TNT charges in the river to kill fish. A rich man is saved and thinks the kids and Joe want a reward. A mine shaft is re-opened illegally. George Keeley's cousin helps Gaby out of an explosive situation. Gaby is kidnaped by a husband and wife who want payment for lost farm revenue. reason for letting him stay. and panics. The kids make his son Danny an honourary Junior Ranger. know of this evil little killer. The name is 'carcajou" (NOT "kakajoe" as previously). is the name for a wolverine in many native languages... Ojibway, Algonquin, etc. It is also widely used in French. During a freak winter storm three boys and a teacher are lost and very cold. shooter, though he gave up killing after the war. An Indian cares for a watch for Macleod. A fur trader deceives the kids with some pelts. poaches furs illegally. Joe and the kids track him on a dog sled. anyone who comes near the area. the contents after scaring off Macleod with a fake ghost. of money for his efforts, but Bobo only requires $15. to outsmart Fred so she can carry on her plans. lose it at Mr. Macleod's property. An amnesiatic man has to learn why he is considered a killer. all is well at the end when they make him an honourary member. A teenage runaway ends up at the marina and is befriended by Chub. bush where she meets an ancient legendary Irish leprechaun named Patrick O'Toole. She receives a replacement gift from Patrick O'Toole, which turns out to be O'Donnel's horse. is attracted by gunshots and wanders off in their direction. person who knows his whereabouts. plans to have the horse killed because he doesnt like it's style. flying low over the town. Later Shing Wauk sees a plane go down in the bush. stop him- at the end he flies within 20 ft. over downtown Indian River. Charlie appleby has to get new parts for his plane. A pro boxer has to fight a bear for money at the fort. A boy learns the value of friendship after he goes wild with his gun. proven innocent of a crime. then his canoe flips and he is forced to swim in the icy autumn waters. Mr. Harleybone leads the kids on a journey with his "Beauchamp Journals"
mine shaft from which he fell into. Biographer Wellington Harleybone re-enacts the lives of his characters. spent many of his days in the Indian River Area. Two hunters try to hunt a bear with illegal traps. The kids are cold and stop for the night in an old log house. for a large sum of loot. jewel thief who wants her dead. Winter hunters go on a rampage and Brannigan is shot. the shack to dig it up. (Gordon Pinsent) is brought in to deal with the crime. Filmed at Widdifield Fire Tower in North Bay, Ontario. Key Grip ....... Ron Gillham. who one day turned on him and killed his lead dog. Kathy (Susan Conway) gets attacked by the wolf. filmed at the Muskoka Sands Golf Course in Gravenhurst. Two men are poaching illegally on the game reserve out of season. Joe. The poachers get away: so they think!! bush and take an old logging road, only to get stuck in the snow. the police dog captures him. Two men hunt for a bear for a French zoo. during the old Indian warrior days of early Canadian history. letting arrows fly at his head. A ghost appears to Mike who warns him of a mine disaster. at the fort with the kids. show called "Rocky Webb", in which the band "The Silver Spiders"
would travel the countryside in search of gigs." A tanker drops poison into the lake and a girl almost dies. A newfie dog leads the kids to his master who is trapped under a tree. distant past that saves the kids fort from being bulldozed over. prospectors. A healthy beaver and a touch of flour does the trick. learns they are tame. "MUKWA!" A ventriliquist fisherman deceives Macleod by throwing his voice. pow-wow event involving great suspense. they drive off he yells at them with great disdain "I hate punks". Big Jim Hansen works as a guard at the mine and helps the kids at their yard sale. Joe and George clear their names when a 3rd party deceives them. A pro-hockey star comes to town looking for Raoul. filmed in the late fall of 1965. Shing Wauk tries to prevent a professor from looting an ancient burial site. Liverpool promoters. Hundreds of tickets are sold but plans fall through. play for the show instead. "Ralph Endersby's band "The King Bees" actually performed the song "The Ojibway Beat". "Homer" and "Rip-off" both starring American-born actor Don Scardino." on a jam session playing drums with Ralph, Peter and George." of a gang of resourceful Canadian young people who lived in northern Ontario. locked in a cellar, or otherwise held captive until they found a way out or were rescued by the government ranger or the R.C.M.P. told her they wanted an "outdoor adventure series for kids". That's when she came up with the premise for "The Forest Rangers". written by Ron Kenyon and Emile Harvard and local Toronto actors had been hired. There were even plans to bring in actors from Hollywood. But, I can only assume that these plans fell through. That is until 1963 when Mrs Samuels brought her Junior Forest Rangers into the works. 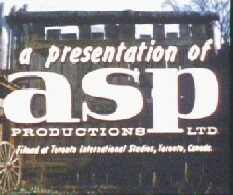 The name of the production company was ASP and "The Forest Rangers" became the 1st Canadian made tv series in full colour. The CBC loved it. 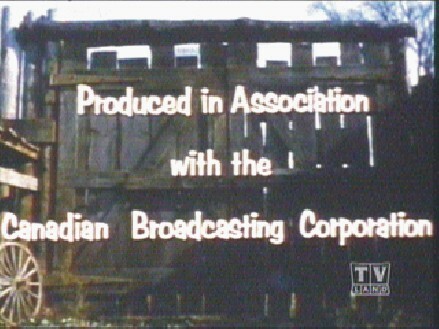 The show was filmed just north of the village of Kleinburg located today in the City of Vaughan, at the Toronto International Studios. There was a ranch on the grounds in those days called the Circle M Ranch. Mrs Samuels crew quickly began building roads, bridges and Pan-Abode was brought in to put up the buildings around the mythical town of Indian River. Luckily, they also found the remains of an old Hudson's Bay fort which was left over from the series of the same name. This would be the kids headquarters. Ted Holliday as the producer and he in turn hired all the directors (George McCowan and Paul Almond) ,cameramen, actors and film processors. there were two film crews used -one in and around Kleinburg and one in Northern Ontario to get scenes for fires, fire towers, lakes and thick forest brush. must have slept there sometimes too. be involved. Mrs Samuels gave the kids special licence to take part in all the action though. Magazine and she will be sadly missed. 40th anniversary reunion took place June 19th, 2004.